African Georges are exclusively hand crafted African clothing fabric where each fabric reveals a personal touch of embroidery and various embellishment made with special attention to detail. Ask those who have purchased our George fabric, it is the best of the best. Yes we take pride in what we offer our customers because we know you will tell your friends and family. The George The intorica George is made with 100% cotton or georgette fabric and adorned with beautiful embroidery, beads, stones and gold threads. Intorica is our most popular george for group uniforms. George fabric is always classy for any special occasion. We offer the rich Intorica and always elegant Exclusive wrapper VIP Premium Lace George will make your entrance to any event a show stopper. It comes with intricate detailed designs with special touches, ruching, beading and sequins. Our highly lusturous silk George is very smooth and has zero transperency with thick and lacey border. Price is per 7 yards for the Intorica and Silk George, 5 yards for the VIP George and one, one quarter for the VIP blouse. We now offer beautiful net laces for blouses. Are you planning a special occasion? 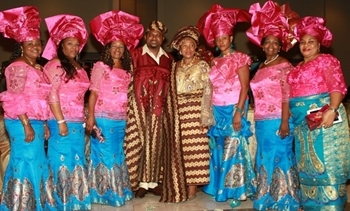 Tenuci offers special pricing on group outfits. Shop Tenuci for something unique, and we offer top quality African Georges. Our georges can also be customized for group events or special occassion. We work directly with trusted manufacturers and offer prices no one can beat!